In 1951 Pat married Gordon Graham, a young man she had met at the U of M, and the two went farming. As a “townie” Pat had a lot to learn about farming but over the years she adapted well and became a driving force behind their expanding enterprise. She kept the household, managed the books and became a mean combine operator as well. Pat was also busy off the farm. 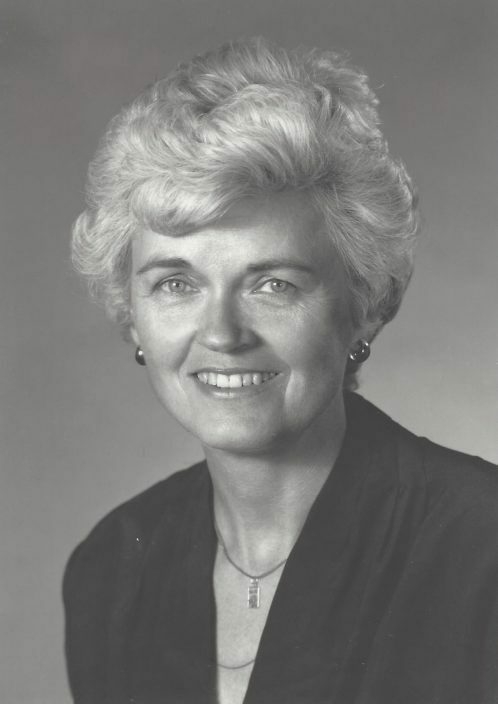 She was involved in the establishment of the Farm Women’s Network in Manitoba, was an enthusiastic supporter of the canola industry through the Canola Council of Canada and a long-time columnist for the agricultural publication Grainews writing on bookkeeping and farm business. She also served on the Board of Directors of the Manitoba Telephone System advocating for better service for rural customers. In 1988 she was awarded the YWCA Distinguished Woman of the Year Award in Agriculture. Pat also recognized the benefits of warm water therapy for those suffering from Parkinson’s and other conditions. She became one of the driving forces behind the establishment of the new warm water therapy pool in Cochrane which formally opened in 2018. The family wishes to formally recognize Pat’s neighbour, friend and “daughter”, Cathy Reid, for the exceptional care that she gave to Pat during the last months of her life. It was truly an act of love. A joint Memorial Service for Pat and Gord will take place on Sunday, December 2, 2018 at 2:30 pm at All Saints Anglican Church (404 – 4th Avenue N, Cochrane). An Interment Ceremony will be held at the Rosewood Memorial Gardens in Brandon, Manitoba on December 8 at noon. Our sincere sympathy in the recent loss of your Mom and prior loss of your Dad. Our families shared many good times in Oak Lake and we were priveledged to be “adopted” by your grandparents when we first moved there. Any time you and your parents came to visit next door, it was an event that we all looked forward to. Our thoughts will be with you as you navigate this journey of grief.